Fantasies on habit, habitat and habitation, this six-part collection of works navigates the spaces of live performance and digital media. Choreographed by Healey in collaboration with performers. Fine Line is currently studied as Core Appreciation for Dance HSC Course in New South Wales, Australia. Funded by the Conceiving Connections research project. Available for purchase through Sue Healey or Artfilms. Fine Line Terrain, for 5 dancers, explores the spaces we inhabit. The performance space becomes dissected with white lines, creating geometric ‘houses ’ that connect, entangle and ultimately collapse. Intimate relationships are framed and mapped by lines, highlighting the precariousness of our relationship to the world and to each other. This is dance that explores the subtle intricacies of our relationship to the space around us. Fine Line Terrain was performed in the Spotlight program of APAM in Adelaide 2004 and represented at APAP in New York 2004. Sydney Opera House presented this work in a sell-out season JUNE 2004. 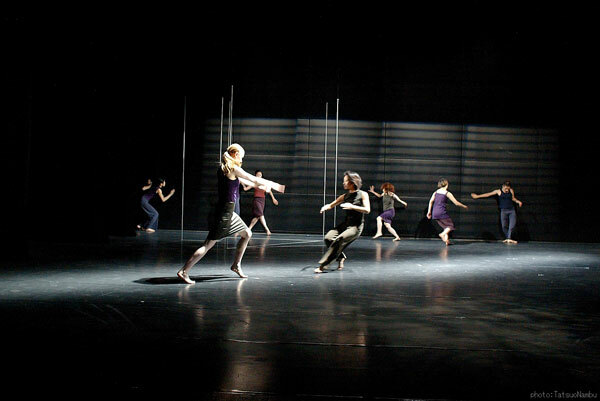 Fine Line Terrain was nominated for Outstanding Achievement in Choreography and Outstanding Achievement for performance by a company in 2004, Ausdance Awards. Commission from Aichi Arts Centre, Nagoya, Japan – for 12 Japanese dancers and Shona Erskine. ​A dance-film that inhabits an intimate place – the edge, surface and the space in between. Notes on Niche available as pdf.